When you embark on a new social media plan for business, knowing which platforms you need to be on can be a little overwhelming. 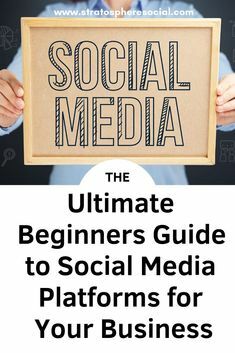 I am going to give you a high level overview of all the social media platforms that matter, who is using them and why. 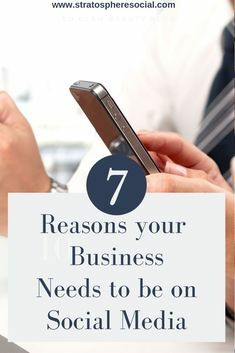 Why does this information matter to you and your business? Whether you’re a blogger, sell a product, own a local business, or you are the CEO of a multi million dollar company you all have the same thing in common. Your customers are online. They are on social media! They are interacting not only with their friends and family, but with the brands that they love. If you want to learn more about WHY your brand needs a social media presence click here. As a business owner this gives you an amazing opportunity to interact directly with your consumers! Getting on the right social media platforms will increase your brand awareness and let you interact directly with the people you want! Which is, you know, #Goals. This one is a BIG one. Facebook has 2.13 BILLION monthly active users and around 75% of them are on it at least once a day. There are 7.6 billion people in the entire world. That means that close to 1/3 of the worlds population is on Facebook daily. People from all walks of life are on Facebook which means that unless your product specifically targets the 18 and under crowd you will need a Facebook presence. Facebook’s users are 18-50+. In fact, other than Linkedin, it’s the only social media platform that has a significant 50+ crowd. I mean…you noticed your mom and you grandmother liking all of your posts right? Because it’s reach is so vast you will definitely need to at least set up a business page. Learn how to set up a Facebook page for your business. People come to Facebook to be entertained, not to be sold to. So keep that in mind when you are posting. Its a great platform for growing your brand following and increasing traffic to your website. Facebook loves all kinds of content. Videos, blog posts, and graphics all do well. The key to Facebook is to provide value and personality to your following. Don’t just go in for the hard sell. Be social, have fun. Use the Jab, Jab, Jab Right Hook method of social selling if you have a product. Twitter has 330 million daily users with a large chunk of them being international. 21% of American adults are on twitter, with a significant portion of them considered ‘affluent millennial’s’ in the 25-35 age range. According to a report from Twitter and Research Now, Twitter is where people go to connect with their passions and interests, which includes small to medium sized businesses. 93% of people who follow a small or medium sized business have plans to make a purchase from them and 69% have already purchased. That’s huge! By growing your followers on Twitter you are growing an audience of loyal customers and brand advocates. 77% of Twitter users appreciate a brand more when their tweet is responded to and the faster its done, the better. They come to Twitter to discover and learn about new businesses and want to be entertained over anything else. This, even more than Facebook, is not a hard sell social site. Engage with your followers, retweet things that will benefit and provide value and entertainment to them while still staying on brand. Twitter is similar to Facebook in that it loves most types of content; videos, Gifs, images, and blog posts all do well. You only have 280 characters in which to get your point across. Be brief. Be engaging. Grammar doesn’t matter as much as it does on FB. USE HASHTAGS. It’s how new people find you. Twitter has a list of trending #’s right on your home screen so if its on brand go ahead and use it to get noticed. Follow everyone who engages and talks to you on Twitter. Instagram is a popular platform as well and has a huge reach! 800 million people worldwide are on Instagram with 88 million daily active users in the US alone. The audience is definitely on the younger side with the largest portion in the 18-29 range. But still a large portion in the 30-49 demographic as well. Those crazy teenagers (13-17) love Instagram too! Like Twitter, Instagram is great for exposure and building a fan base. 80% of users on IG follow one or more businesses. People come to IG for pretty pictures and inspiration. If your brand has gorgeous products, amazing events, or delicious food then IG could be the platform for you! Fashion, travel, food, photography, fitness; whatever your brand you can own IG if you can provide entertainment and amazing pictures and/or video. IG users don’t want to be sold to, they want to be inspired by. Don’t forget that this is a social platform so remember to engage, engage, engage with your followers! Reply to their comments and jump in on the fun. Make sure your pictures are well photographed, well lit and gorgeous. If you have a physical product flat lays are totally cool too! Great for brand exposure and building a loyal following. You can do short entertaining captions or ‘micro-blog’ captions, meaning a longer more well thought out post. Either one works. Cooking channels, beauty tutorials, how-tos and (not surprisingly) music videos are tops when it comes to video content. But there is a huge variety of video out there so if your brand lends itself to awesome video content, then go for it! A great feature of Youtube is that once the video is created and uploaded you can use it for content on your own website or blog by embedding it in a post. You can edit it and post it on Facebook. Lots of options. Depending on your brand your videos can be entertaining, informational, or both! The video should be concise and ENTERTAINING. Nobody wants to watch boring video. Awesome for SEO (search engine optimization, very important), branding and web traffic. Not so awesome for growing a loyal fan base because its a lot of work. But if video is your thing and you can upload awesome videos weekly then go for it! Pinterest is considered a social media platform but in reality it is just a huge search engine that has incredible traffic driving power! This is hands down my favorite platform. If you are a blogger or have a website that sells products Pinterest can get you so much traffic if done right. 200 million people use Pinterest on a daily basis with 70% of them women ages 25-54, but men are starting to catch on as well and have seen a 50% growth in the last year. People go to Pinterest for inspiration and information. The huge difference between Pinterest and other social platforms is that a lot of people are willing and ready to be sold to. They want a new pair of shoes so they check out Pinterest, find a pair that they like, click on the picture and are happily brought right to the website where they can make a purchase! People love quotes, gorgeous pictures, and informative blog links. Its a huge traffic driver to blogs and websites. If you have either of those and are not on Pinterest then you are seriously dropping the ball. Long tall images and info-graphics are preferred. PIN SIZE MATTERS. Daily pinning is essential for growth, both your own content and curated content (other peoples pins). Using a scheduler like Tailwind is a recommended. LinkedIn is the world’s largest professional social network. It connects colleagues with each other and businesses with current and potential employees, while also enabling community development and content sharing. LinkedIn boasts 500 million users with 40% active daily. This one is a little different than other social media sites as it’s more professional. People go to LinkedIn to network, improve their careers and learn more about business. If you have a business that lends itself to this type of activity then LinkedIn is for you! To get the most out of LinkedIn, you need to be posting content that both your peers and potential customers would find valuable and thought provoking. No silliness here! No need to entertain the masses. Post only relevant content. LinkedIn likes blog posts, educational videos and corporate updates. Keep it professional. If someone is visiting your LinkedIn profile its to learn about your business. Snapchat boasts 300+ million monthly users and 191 daily active users. 70% of its daily users are 34 and under and female. Its great for for building brand awareness and exposure and exceptionally great if you are building a personal brand. Its not about pretty pictures, its about socially engaging your friends. Snapchat is a viable marketing channel if your current target market falls anywhere between the ages of 12 and 34. People go to Snapchat for entertainment! No selling, its all about brand awareness. Now its time to really think about your target market, their demographics, like and dislikes, and what type of content will resonate best with them. Don’t get wrapped up in trying to be the best on all platforms. Their will always be one that out performs the rest and that is OK. Focus 80% of your time on the one that is working for you and your brand! In fact, the best thing you can do in terms of social media platforms is to not be on every single platform out there. Instead evaluate where your target audience is. You want to be on the three best platforms that your end user is engaging on. It is crazy right!! It’s so much to think about. I find that having a schedule and a plan is really very helpful to keep track of everything otherwise I think I would go crazy lol. Social media is crucial for me when looking to promote my blog. I’m pretty active on Facebook & IG, but not so much on Twitter…& inconsistent on Pinterest, which I am trying to change! Thanks for your tips! Definitely work on that Pinterest! It can be such an amazing driver of traffic to your blog. Good luck!! Feel free to ask me anything about Pinterest because it what I do! This is a great article, with some awesome information for those trying to figure this whole social media thing out. so much to learn…so little time!! enjoyed your post!